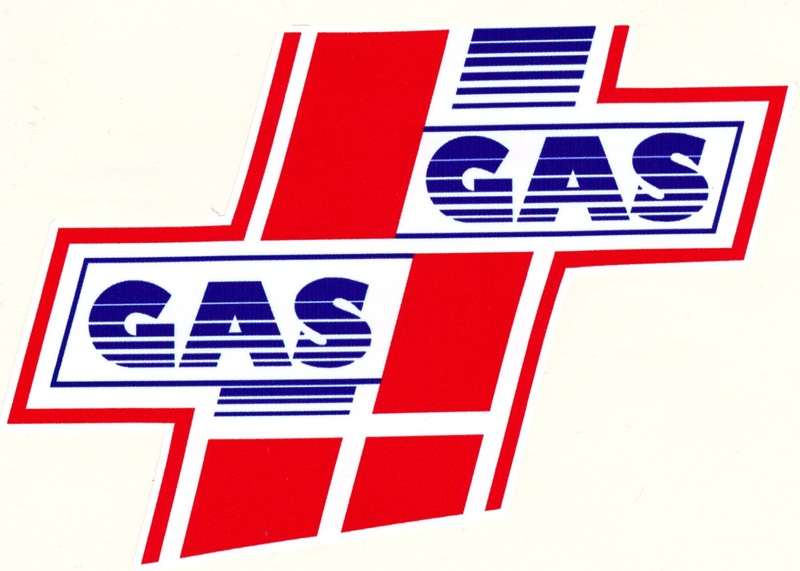 The childhood buddies were in business together from 1973 when the small "GasGas" shop was opened. Without any favours their business went from strength to strength. They also had the added benefit of successfully mixing their passion of Enduro racing with their business. 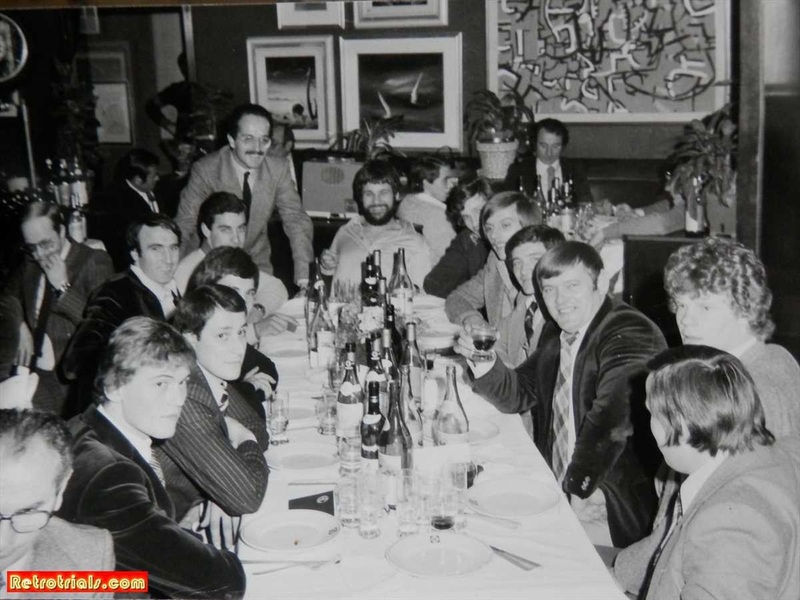 Josep Pibernat sitting next to World champion motocross start Joel Robert and opposite his partner Narcis Casas. 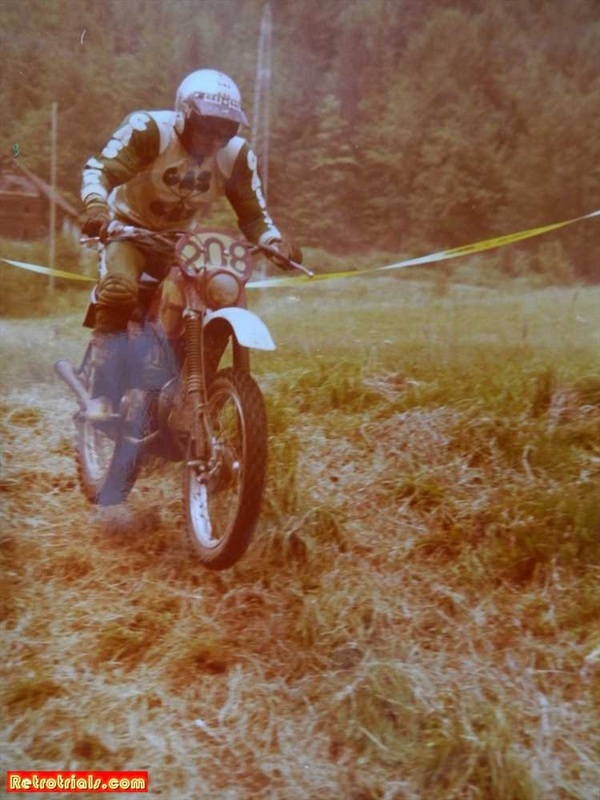 As you have already seen, not only did they race successfully themselves but they also ran Bultaco and SWM Spanish Enduro teams. 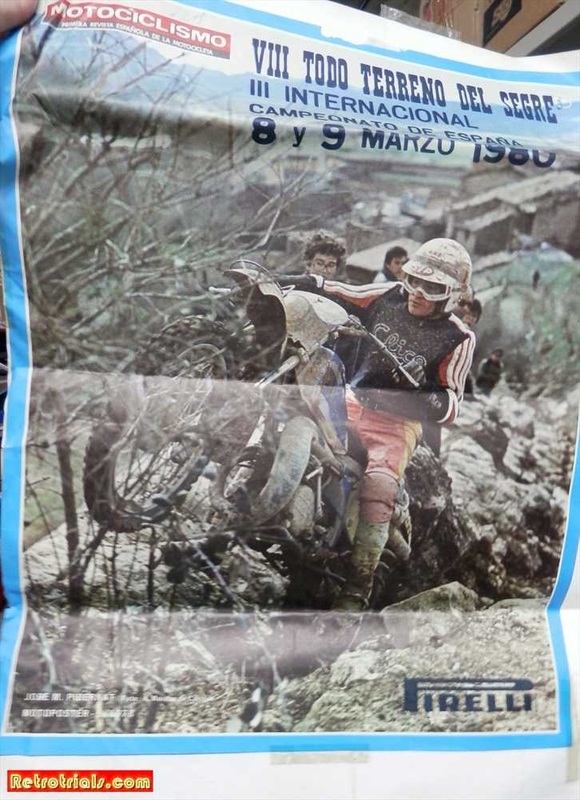 They were both literally the cream of the Spanish Enduro crop, but they had little and almost no connection to trial. When did you start riding competitively in International and National events? And you started GasGas in 1974? When did you stop riding International competitions? 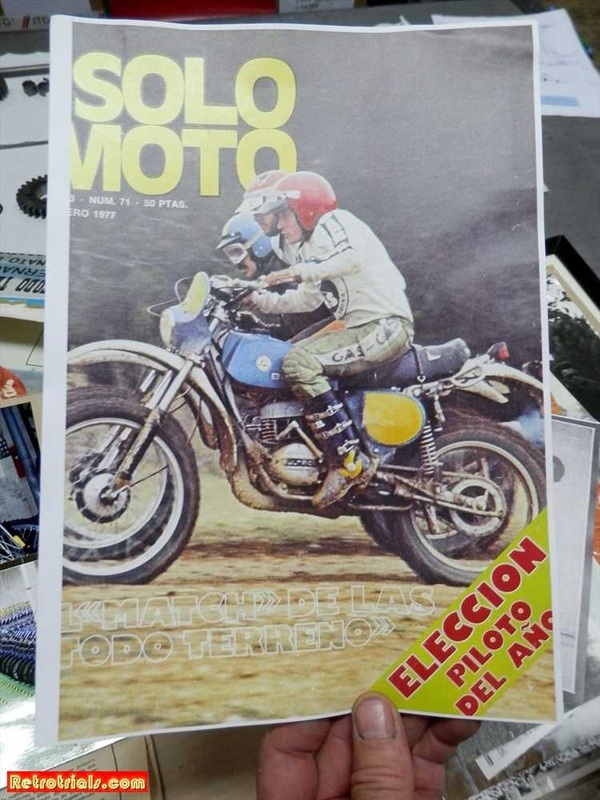 production ideas from the production and assembly of Bultaco? 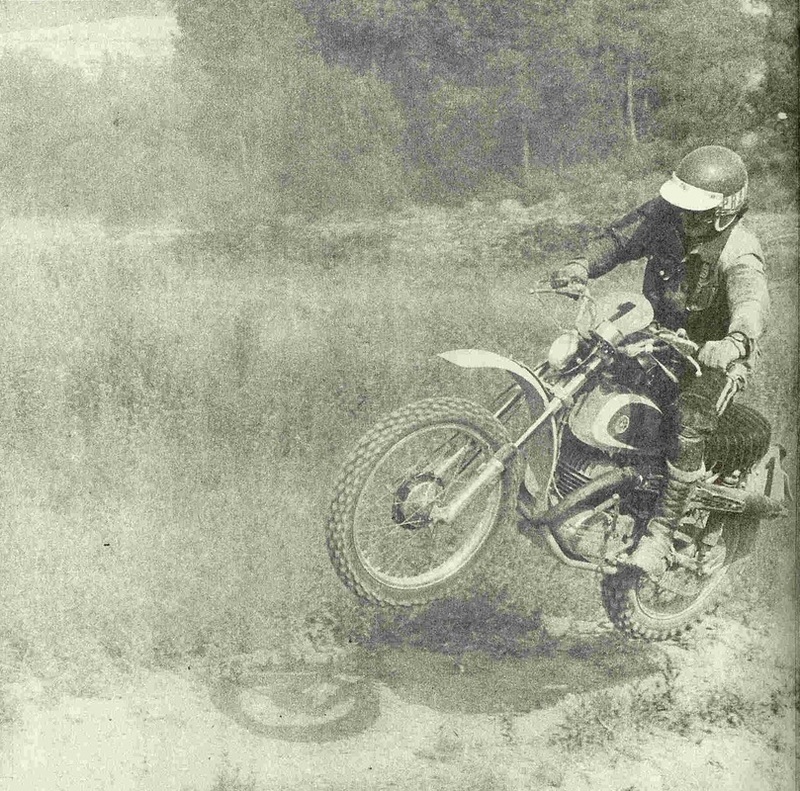 I think I saw a lot in Bultaco that I used but I added a lot as well. It was a lot different. 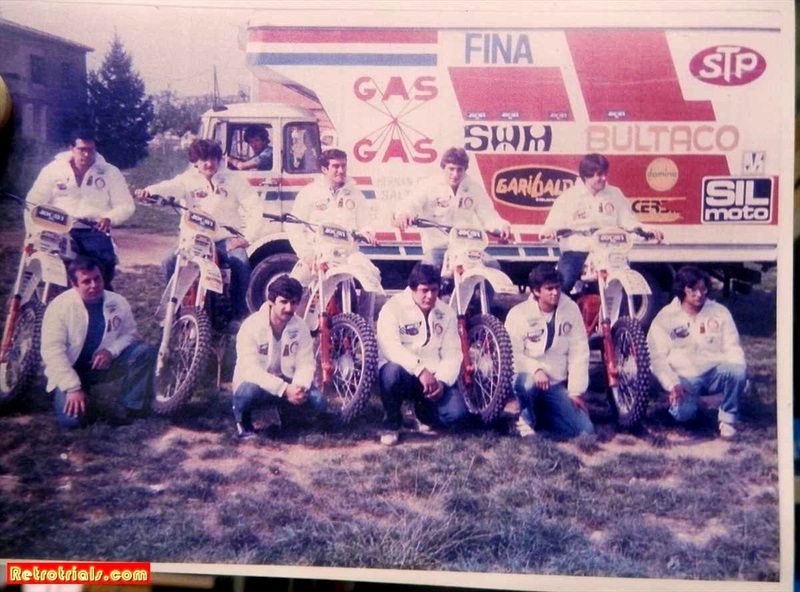 This photo from Piber shows him in the middle flanked by some of his SWM Spanish team riders. After 10 years of racing as factory sponsored riders under the "GasGas" banner the partners decided to stop racing competitively, but for different reasons. At the age of 30 without serious injury Piber decided to stop whilst he could. He was losing the slight edge he had and this frustrated him. 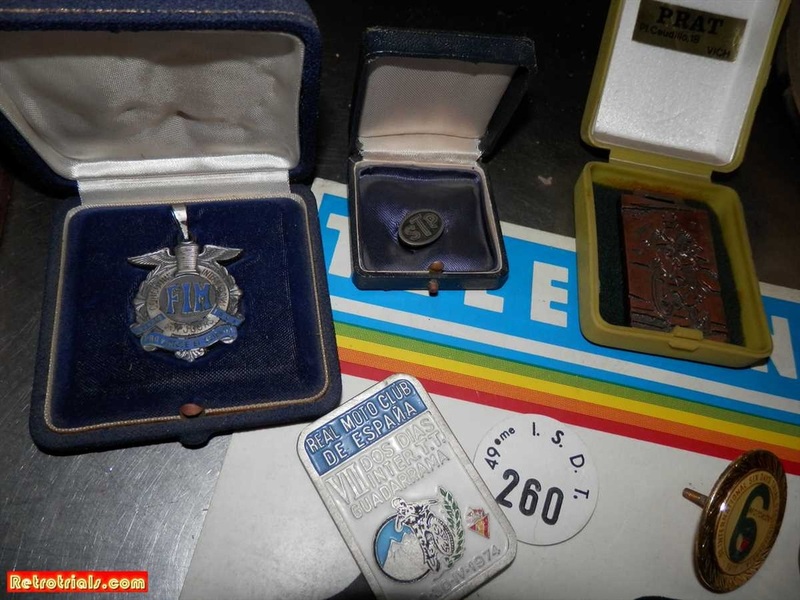 Pibernat had amassed 6 International 6 day Events Gold medals. 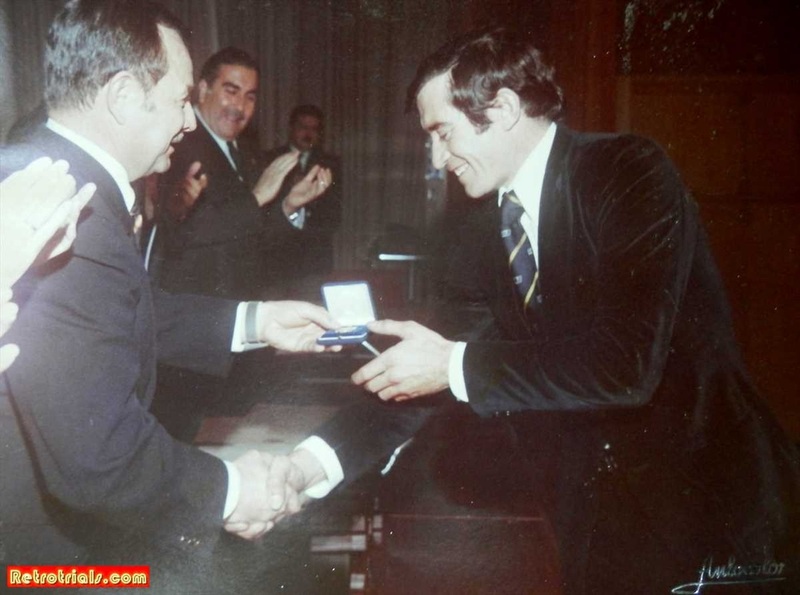 On any Sunday viewers will know this is an incredible achievement .He had also won the 175cc Spanish Enduro Championship in 1975. 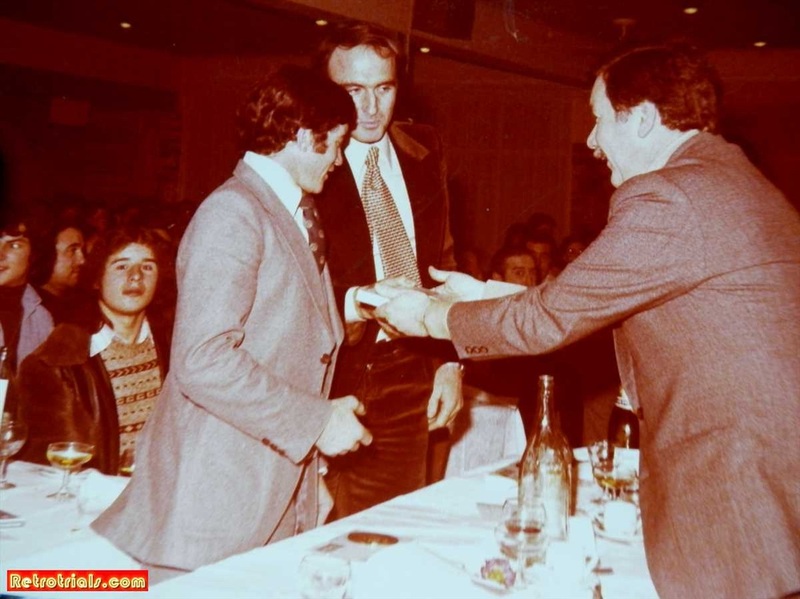 He is also the first Catalan to win a round of the European Championship. 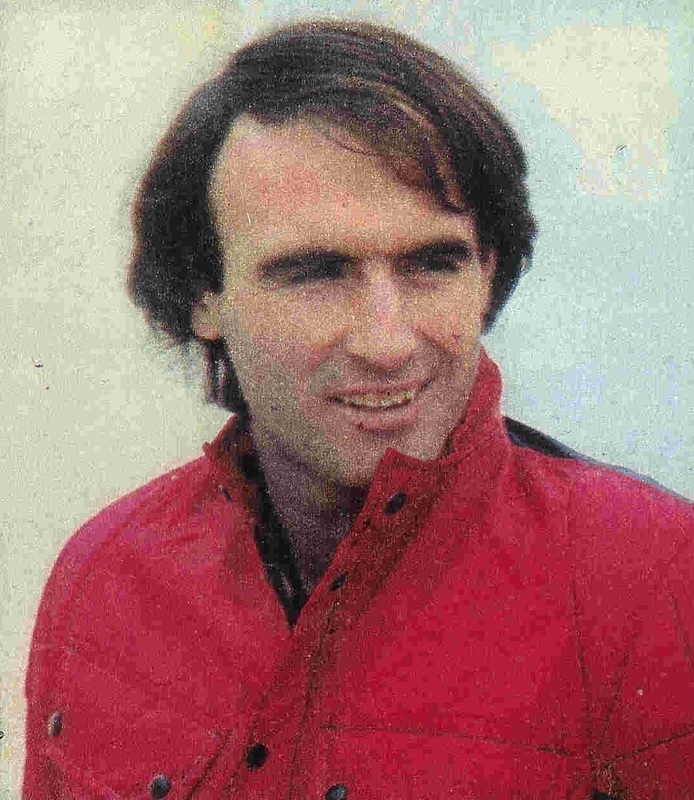 Pibernat also won the 24 Hours of Moiá race 3 times. 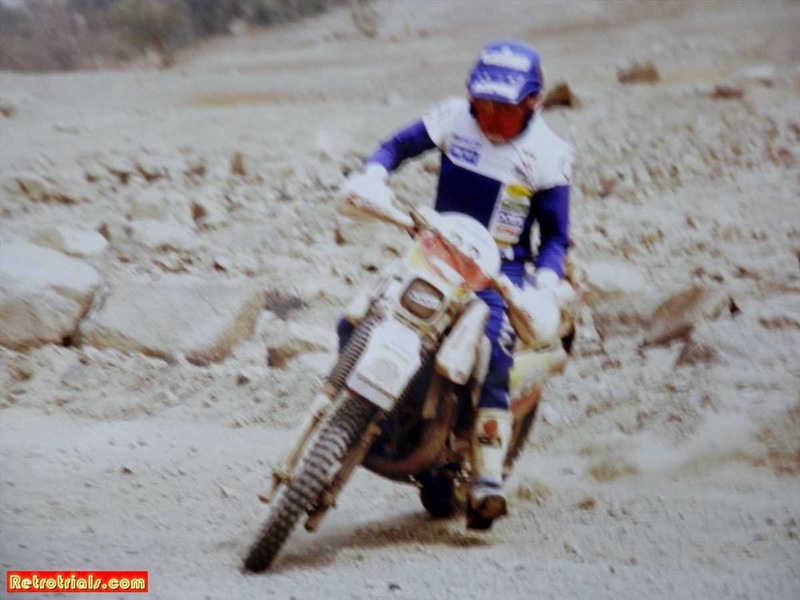 His Paris Dakar results have already been documented in this report. Narcis Casas, Pibernat's partner retired for different reasons. Casas amassed 7 Spanish Enduro Championships as well as 4 ISDE Medals. Injury would however put an end to his career. 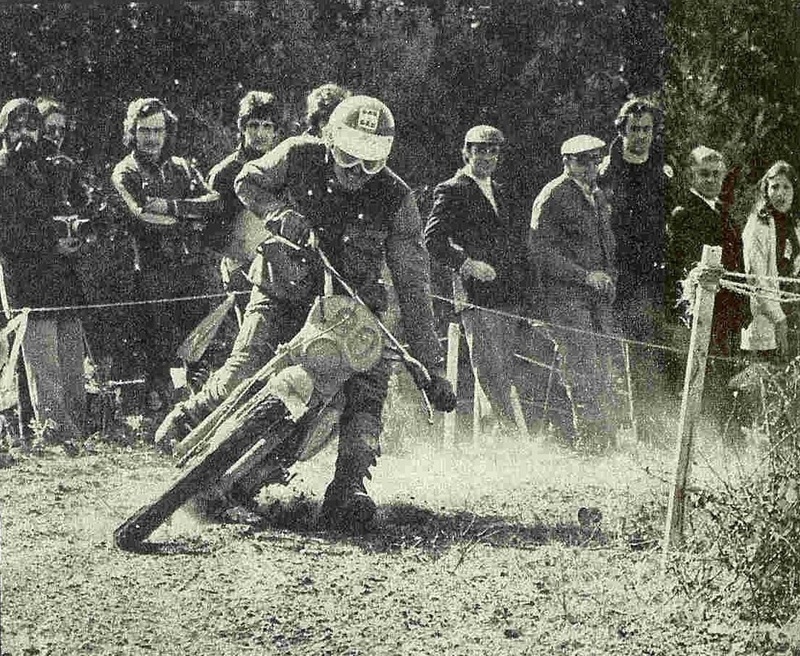 After a bad crash in 1974 whilst racing with several other riders in competition he was impaled on his handlebars. The steel bar penetrates into his gut and hospitalized him for 4 months with repeating nasty infections. 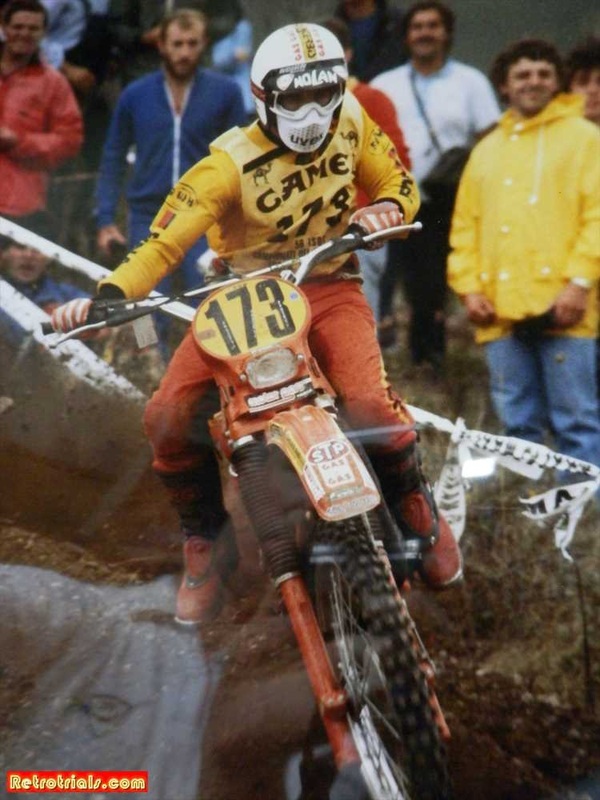 When he eventually got out from hospital he continued racing getting more great success however the injury never disappeared fully and he was eventually forced from racing by his doctor in 1981.